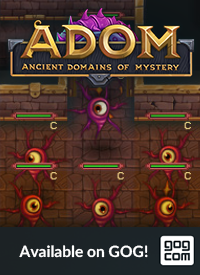 The Official Blog for ADOM (Ancient Domains Of Mystery): ADOM 3.0.0 released as a prerelease test version! Four new mini maps and three new community quests have been added. The Ultimate Nihilist ending has been added. A new special adventure - taking place after closing the gate - has been added. A new special "getting funded" level with a special boss monster & minions as well as two new artifacts has been added (and 16 other new items peculiar to this level). 33 (!) new artifacts have been added. The legend level donor artifacts have been added. Fixed and extensions to the many magical statues (a few still are unimplemented as the wishes of the donors where simply not feasible - we will work out something better with you; expect to be contacted soon). 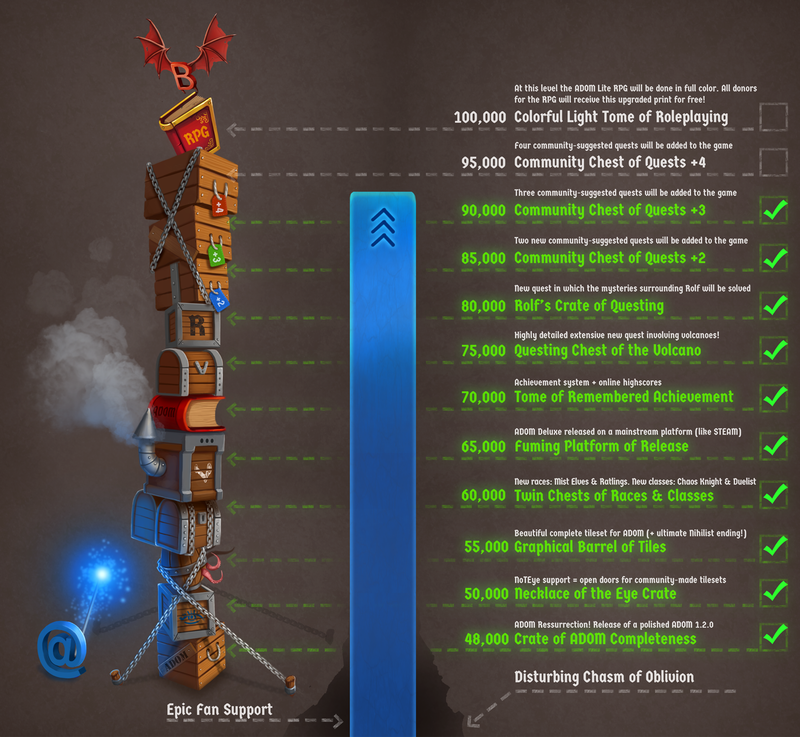 The immortalization of the mega-legend level donors has been done. The revised manual available in more and smaller pieces throughout the game. The basic infrastructure for global highscores has been added (but will not be activated before 3.0.1 as we still are busy testing the server - more on that in an upcoming post). 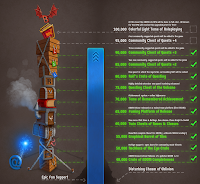 The changelog has the complete list of changes as usual. 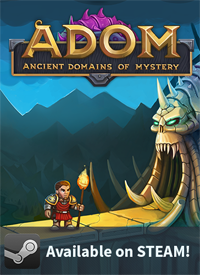 ADOM 3.0.0 can be downloaded for prerelease testers from the usual location. All this should make for an exciting new release. After it has been extensively tested it will take the usual route first to Steam and then to the general public. We are very happy about now coming to a conclusion of our crowdfunding campaign and we are looking forward to the next exciting things looming on the horizont. Ooo, I’m excited for all the stuff announced. 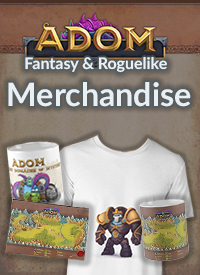 Does this release have the new graphical stuff as well (ie customizable character, better looking orcs/trolls, items showing on character)? That’s something I really want to see! Dang, oh well this stuff looks super sweet either way. Looking forward to it! Now this is awesome. I'm really excited with the speed of updates. Good luck with further work! I just had a wilderness encounter that... well, let's say that had more stuff that just a bunch of creatures to kill. I died, but this release looks really amazing! Will the new content be accessible if using a saved game from 2.6.7? In particular, are the new quests (and especially the post-gate-closing one)? I imagine the new artifacts won't be, since the potential artifact list is created at the beginning of the game? Mmmhhh... good question. The save files are usable but depending on which locations you already visited the new stuff won't be accessible. Sorry for that. Thanks for answering, and glad the save file won't have problems. He has only been to Terinyo, small cave, and puppy cave, so maybe he has a chance of seeing some of it, if he lives long enough. >The Ultimate Nihilist ending has been added. >33 (!) new artifacts have been added. Oh my god. The gift just keeps on giving.